After success in two continents, the team behind the hugely successful International Mobile Gaming Awards (IMGA) today announced it is to host the first-ever mobile games competition in Southeast Asia on 8 November 2016, in partnership with Malaysia Digital Economy Corporation (MDEC). Coming on the heels of IMGA celebrating their 12th annual awards ceremony in San Francisco, IMGA SEA awards will mark the first year that the awards are handed out in Southeast Asia, recognising talents from the fast growing and blooming markets of the region. The call for entries is now open. 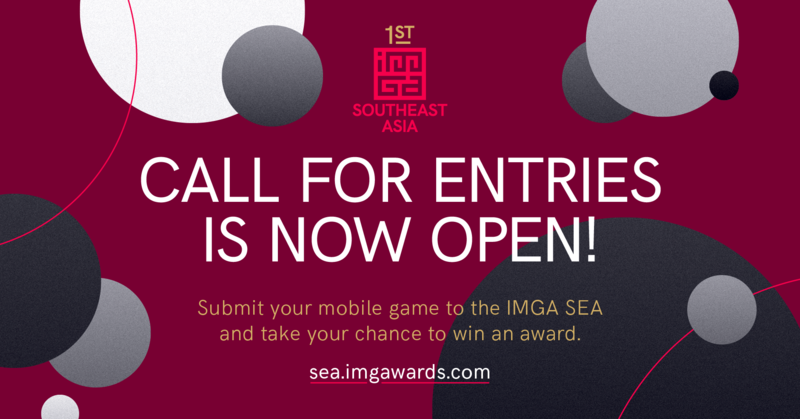 Mobile games studios, indie developers, publishers involved in any aspect of the creation of mobile games are invited to submit their game until 30 September 2016 on sea.imgawards.com/submit-your-game. After an online preselection, the panel will select the winners during the final judging session in an intensive multi-day private roundtable held in Penang in early November. Winners will be announced on 8th November and listed online. For full details about the competition’s terms and conditions, visit sea.imgawards.com or call: +33 491 315 217. You can also follow us on Twitter or Facebook. MDEC (formerly known as Multimedia Development Corporation Sdn Bhd) is an agency under the Ministry of Communications and Multimedia Malaysia. It has been entrusted to develop, coordinate and promote Malaysia’s digital economy, information and communications technology (ICT) industry and the adoption of digital technology amongst Malaysians. For more information, visit www.mdec.my.